Do you have a whole darn lot of Samsung devices awaiting deployment? 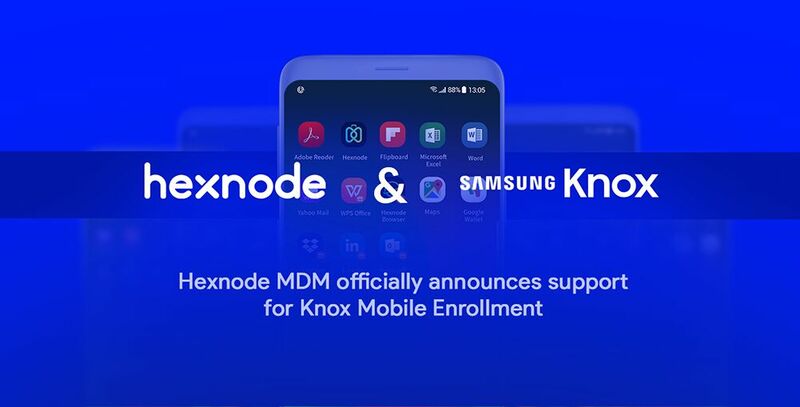 Try our new Samsung Knox Mobile Enrollment. You can quickly and seamlessly enroll them in one go! The best part is you can preconfigure all the MDM stuff and device settings, so devices are set up and managed for out of the box use. When users power them on and connect to a network for the first time, Hexnode MDM automatically enrolls the devices and deploys all the policies, configurations and apps you have set up for them. Supports multiple MDM configurations per account. Samsung Knox devices with Knox version 2.7 or later. An MDM provider supporting Knox Mobile Enrollment program. A Knox Mobile Enrollment supported browser such as Internet Explorer, Firefox or Chrome. Wanna know more about the Knox Mobile Enrollment program? Check out Samsung Knox Mobile Enrollment.